Eden Rock is home to a tragedy that happened over 100 years ago, this event still haunts the town but most have become to believe it is a myth. Chloe returns to the town now with a baby but unwilling to speak of the father. The dramatic change from being a teenager to becoming a mother takes its tolls on her, so much so she starts to see a mysterious woman who is after her baby. As the days go by Chloe slips further into a depression and sees danger everywhere including from her very own mother. While no one else sees the mysterious woman or hear the strange noises, Chloe starts to fear for her babies life but is what she is seeing and hearing real or is it all in her head? This isn't Darrell Roodt's first foray into the horror genre as he directed the lacklustre 2004 film DRACULA 3000. 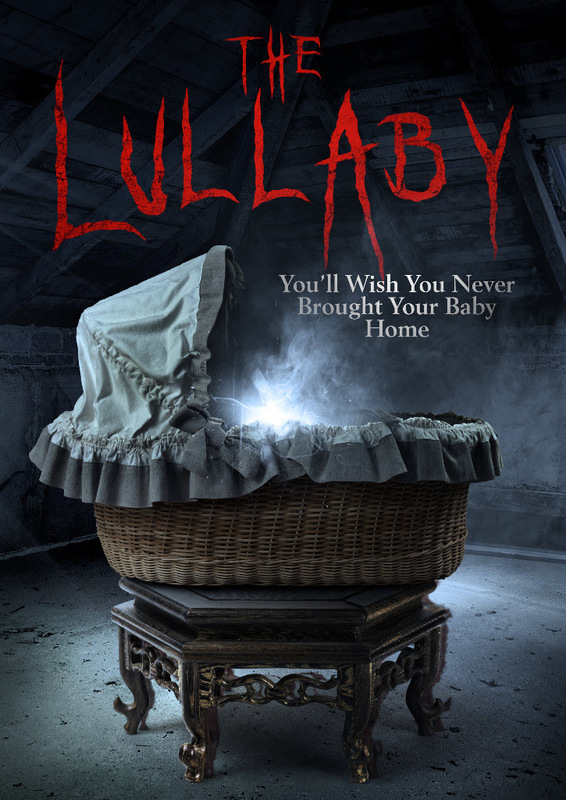 Fortunately THE LULLABY is a superior film and deals with a very real issue that so many mothers face, postnatal depression but taking to an extreme level. While the very real issue is hard to deal with, this film sees the mother Chloe doing things that you wouldn't dream of doing to a child. One of many very unsettling scenes sees Chloe cutting her babies nails and takes off more then just a snagging nail. While this film does have its fair share of jump scares they don't stand out as much as the atmosphere does amongst all the drama unfolding on the screen. If you find violence to children hard to watch (and why wouldn't you) then this film will be a traumatic ride, but those with a strong stomach will find a film that is well acted by all and very creepy.